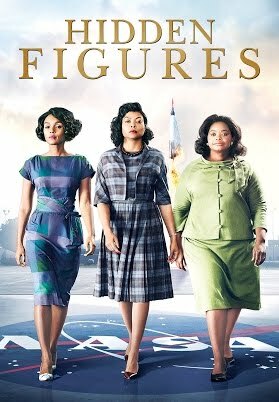 Have you seen the recent movie, Hidden Figures, based on the lives of three African-American women employed by NASA in the turbulent 60s? The title emerges from the incredible mathematical mind of Katherine G. Johnson who was able to see “beyond” what was right in front of her. 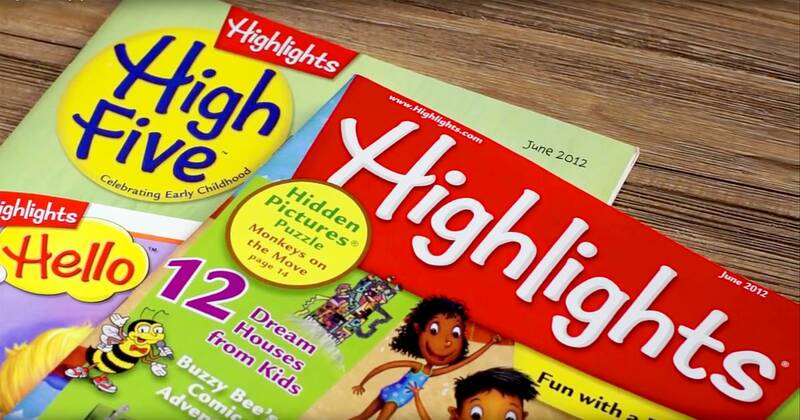 When my sons were young, they enjoyed looking at the “magic eye” books. You remember them: page after page of colorful, busily-patterned craziness within which three-dimensional images were hidden. To uncover the secret picture lurking within the pattern, you must have the “magic eye” to see “beyond” what is seen. One of my sons could locate the image in no time at all; I, on the other hand, was rarely able to unearth the “hidden figure” nestled in the busyness. All I discovered was my own lack of patience and endurance. Even now, I tense up just thinking about those puzzling pictures! Sometimes, life circumstances present themselves like “magic eye” pages. I stare at the situation, growing tense and impatient, having no hint of what it is I’m supposed to see. I walk away frustrated and troubled, often accusing myself of total ineptness, “How can you NOT SEE THAT? !” It seems I “just can’t see for looking” as my Pop-pop would say. But when I think of Jesus’ disciples, I am comforted, realizing I’m in good company. This all sounds pretty straight forward to me! But Luke goes on to say that the disciples didn’t get it! WHAT?! I’m ready to accuse these former fishermen and tax collectors, these thick-headed students of the Master who have followed Him intimately for three years, of complete incompetence! With disdain I question, “What part of ‘I’m gonna be beaten…I’m gonna die…I’m gonna come back to life’ don’t you understand? !” But before I get too carried away with the shaming, I read on…”This saying was hidden from them…” No amount of striving to understand the message, or fixing that “magic eye,” would bring it into view when God was hiding it! Years ago, I heard a Bible teacher say, “God gives believers information on a need-to-know basis.” At first, I wasn’t so sure about this, but after following Jesus for years now, I recognize the truth—and the grace—in this. On the night before Jesus’ crucifixion, He spoke to the disciples, “I have many more things to tell you, but you are not able to handle them now.” The great and profound reality of this Savior in their midst—beaten, mocked, spat upon, who took our sins upon Himself on the cross—was not revealed until the prophecies were fulfilled. There were just some things they were not yet ready to know. He rose from the dead, presented Himself to them and suddenly, they saw “beyond”. Women of faith do not require “magic” eyes! Rather, we need to fix our eyes on Jesus, the Author and Finisher of our faith until He brings “the beyond” into clear view. Will you choose to look at the Savior who sees the end from the beginning, choosing to trust Him to reveal what is “beyond” WHEN He knows you are ready? 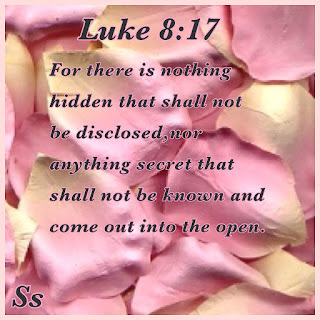 Our God has promised that there is nothing hidden that will not be revealed! Let’s pray. 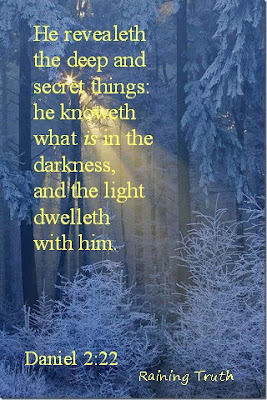 Father, You are the One who reveals the profound and hidden things; You know what is in the darkness, and the light dwells with You (Daniel 2:22). You have told us to set our minds on things above and not things on the earth, for we have died and our lives are HIDDEN with Christ in God (Colossians 3:2-3). 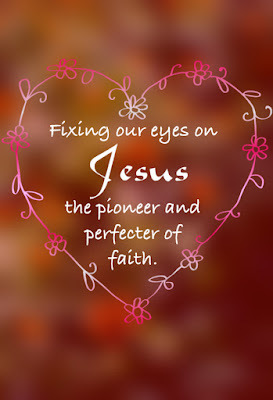 We are safe there, and in those times when we can’t see what You are doing, when we can’t see beyond our circumstances, enable us by Your grace to turn and fix our eyes on You. And when we are able to handle it, You will reveal what is hidden; and at once, we will “see beyond” and understand. In the name of our Savior. Amen.